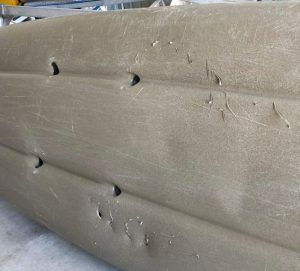 It’s just what Queensland doesn’t need, another story on sharks – but when a kayaker is knocked into the air by a four-metre tiger shark that punctures his kayak with tooth marks like bullet holes, the world sits up and takes notice. The latest attack wasn’t in the Whitsundays, which will be a relief to tourism operators there – and the victim escaped unhurt, which will relieve everyone. It happened on Moffat Beach on the Sunshine Coast yesterday morning. ABC News described how Kyle Roberts was paddling about a kilometre off Moffat Beach when a tiger shark attacked without warning, knocking him into the air. Roberts managed to get back on his kayak and clung on grimly while the shark kept circling. A Surf Life Saving Queensland (SLSQ) officer told the ABC that Roberts “was starting to panic, especially when the shark was starting to circle him”. That won’t surprise many people. SLSQ lifesavers on jet skis “performed an amazing and dramatic rescue” after receiving an emergency call in the early morning. 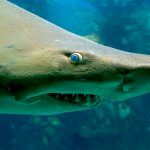 About a week earlier, a shark killed a 33-year-old man in Cid Harbour in Queensland’s Whitsunday Region – the same area where two tourists were badly mauled by sharks on consecutive days in September, with one losing a leg. News of that was carried around the world and the latest attack is sure to be treated similarly, with “Queensland” featuring in the same headline as “shark”.